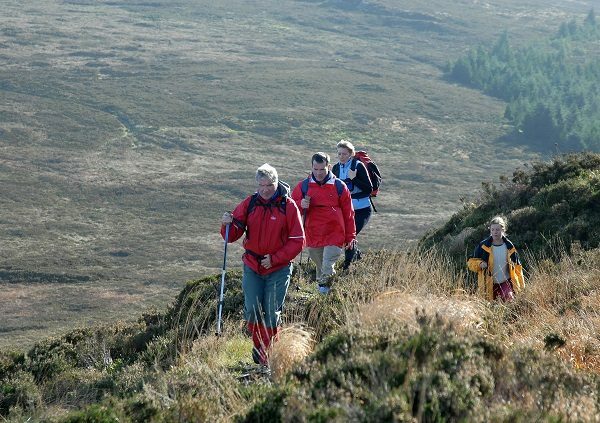 Throngs of walkers are expected to descend on the many towns and villages of Ballyhoura Country over the August weekend (20th & 21st) as a kick start to Heritage Week, to take part in the 2016 Ballyhoura International Walking Festival. The festival, now in its 22nd year is expecting to attract walkers throughout the weekend from all over Ireland and appealing to many of our overseas visitors and friends. 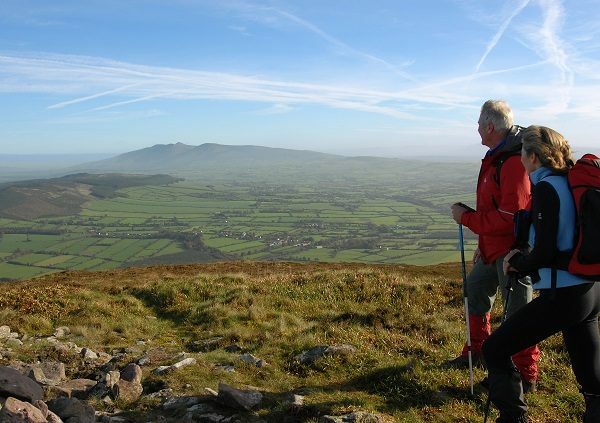 The festival provides an opportunity to explore some of Ballyhoura Country’s stunning countryside in the company of guides from the Ballyhoura Bears walking club. The Festival features a packed programme of walks for all abilities, from the enthusiastic well-equipped walker who relishes the challenge of the half marathon on the Saturday morning, to the gentle ramblers who are out to enjoy pleasant guided walks in the company of local experts in the fields of heritage, archaeology, history, flora and fauna. This year, the trailhead of the Ballyhoura Mountain Bike Park near Ardpatrick in Co. Limerick becomes the home of the walking festival, with all registration for Saturday walks taking place here. The facilities provide secure parking, toilets and shower facilities and also provide an opportunity for walkers to see the array of bike routes, trim trail and nature trail located here. Saturdays longer distance walks will commence registration at 9:30am, with the first ascending the highest peak on the Ballyhouras, Seefin, travelling over a distance of 13miles with the B walk a circuit by river and forest. Saturdays C walk is the perfect 1.5 hour led walk to cover the trails and facilities on the mountain, refreshments will be provided post walk at designated locations. 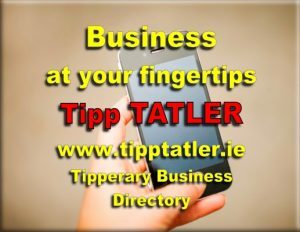 This year the Festival line up on Sunday will included a range of walks including a river & forest walk, animal sanctuary walk where there is an opportunity to walk your dog, archaeological walks at Lough Gur, a heritage walk at Doneraile & Galty Castle Wood, historical walks in Kilfinane, an Archaeology walk where you can learn about the iron age agricultural community dating from about 1,000BC to 400AD. All walks should prove hugely popular and provide great insights into some of the areas finest historical, heritage and archaeological attractions. The festival has grown into one of Irelands premier Walking Festivals, Jim Flynn from the Festival Committee comments “The Walking Festival provides lots of opportunities to meet new friends, learn more about the countryside and flora and fauna and is also a great way to introduce the younger people to walking as the festival has family walks designed for children’. Chairman Ben O Sullivan pays tribute to all of the volunteer effort that goes into making the festival happen with so many people all coming together to make the event one of the best in Ireland including local guides, community groups, the Order of Malta and very importantly the local landowners whose assistance and help is invaluable. Long time partners of the festival the Kilfinane Outdoor Education Centre, The Ballyhoura Bears Walking Club, Ballyhoura Development, Ballyhoura Fáilte and Sheehy’s Centra, Kilfinane all contributing to ensure the continued success of the event. If you miss the festival but would like to get out and explore some of the Ballyhoura Country side why not join the Ballyhoura Bears Walking Club. The club have a full programme of summer walks, for all levels of walking. 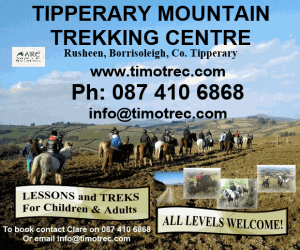 If you are new to country walking, unsure about where to go, or need an incentive to get your boots on, then the Ballyhoura Bears might be the answer. If you would like to find out more, the Ballyhoura Bears Walking Club website ‘www.ballyhourabears.com’ or ‘www.visitballyhoura.com’ has a complete list of upcoming walks and events.